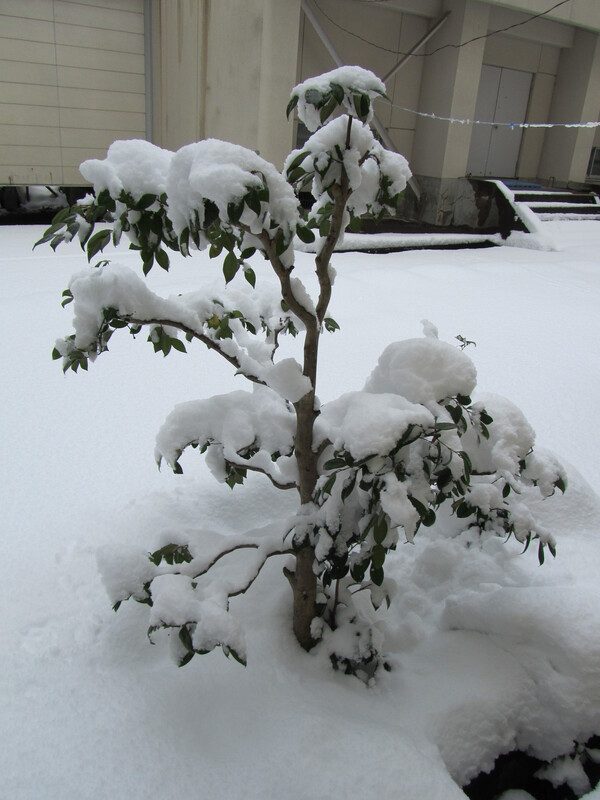 Kanazawa is the first place I have had experience of living with snow. Snow in Dublin is a rare, mainly icy, occurrence, and the year I lived in Bologna it did snow, which wasn`t usual, but it didn`t stick around. 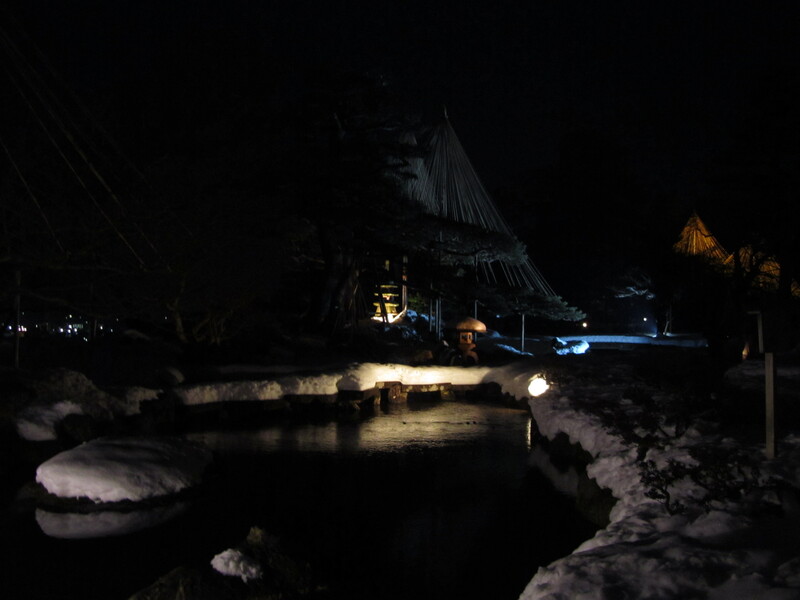 Kanazawa is on the Sea of Japan coast in the Hokuriku region which is (in)famous for its winters. 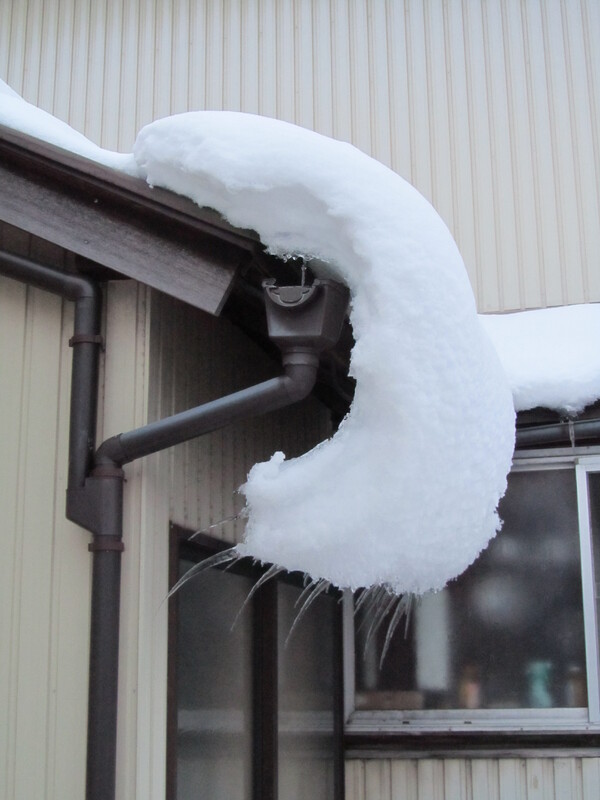 While it doesn`t get the below-zero temperatures and powdery snow that Hokkaido gets, nor the meters of snow in the mountainous regions, Hokuriku gets the cold air currents down from Siberia over the sea which dump a lot of thick wet snow on the region when they come up against the mountains. 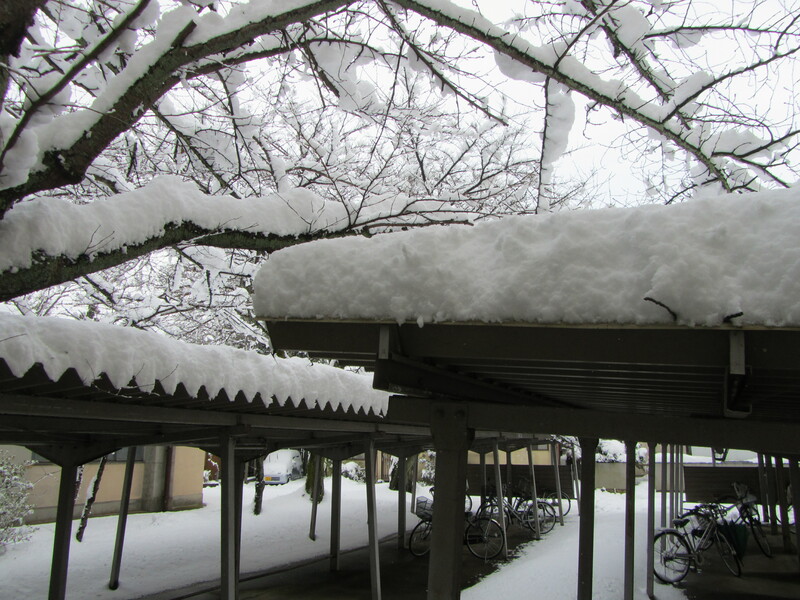 Cars are required to have snowtires by early December, and the snow season lasts until March. Because winter temperatures usually remain above freezing point, many of the city roads have sprinklers to melt the snow. This results in the roads and paths being full of slush, except for when the temperature does go below zero and they become icy slip hazards. 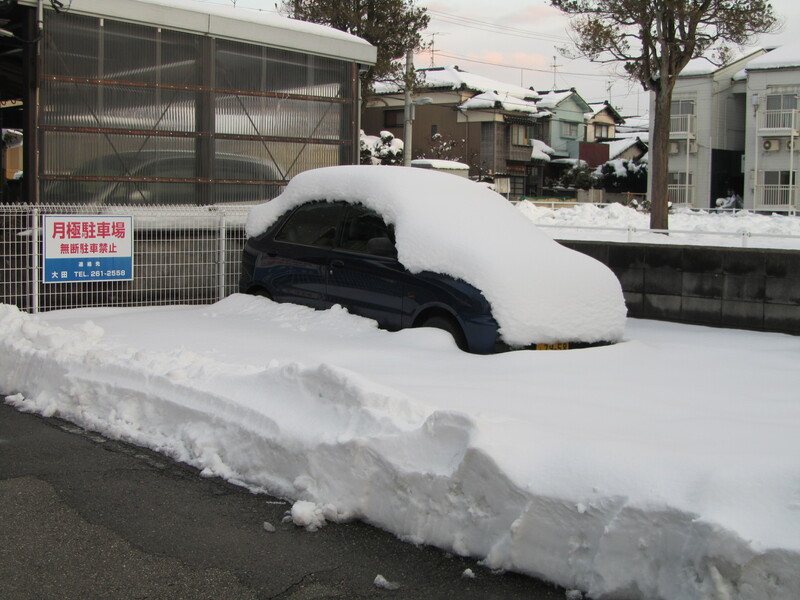 Snow that is shovelled into mounds at the side of the road become compacted to ice until well into Spring. This year has been quite mild actually, as there have been periods of no snow, so these pictures are from last year when I was snap-happy with wonder. 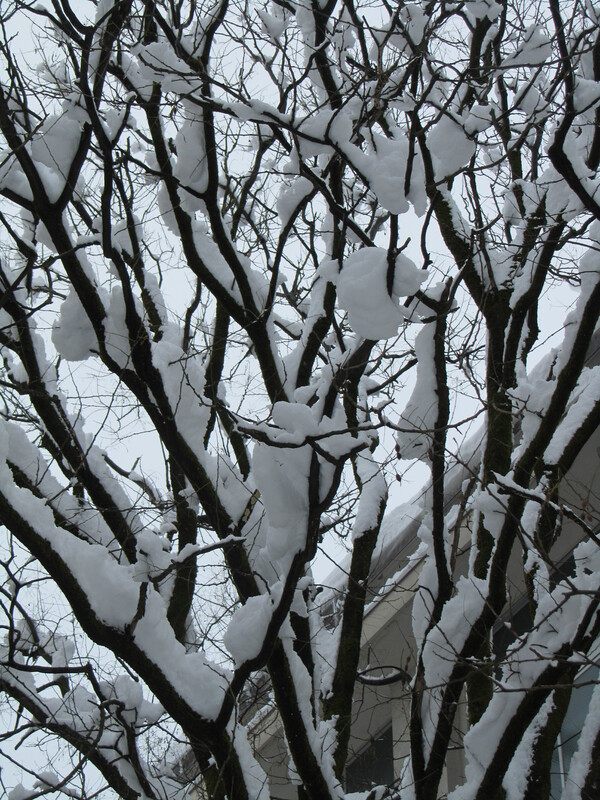 As annoying and uncomfortable as it can be, I do think it`s really beautiful, the snow here is so fluffy and makes everything look like it`s iced with meringue. I`m ready for Spring to come now though. 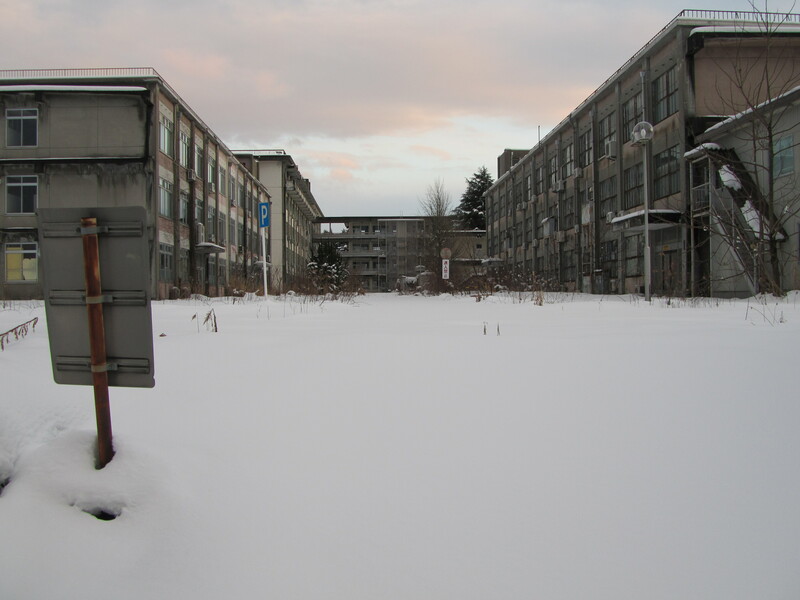 Above is the old Kanazawa University building, abbandoned when it moved to a new campus out in the mountains. 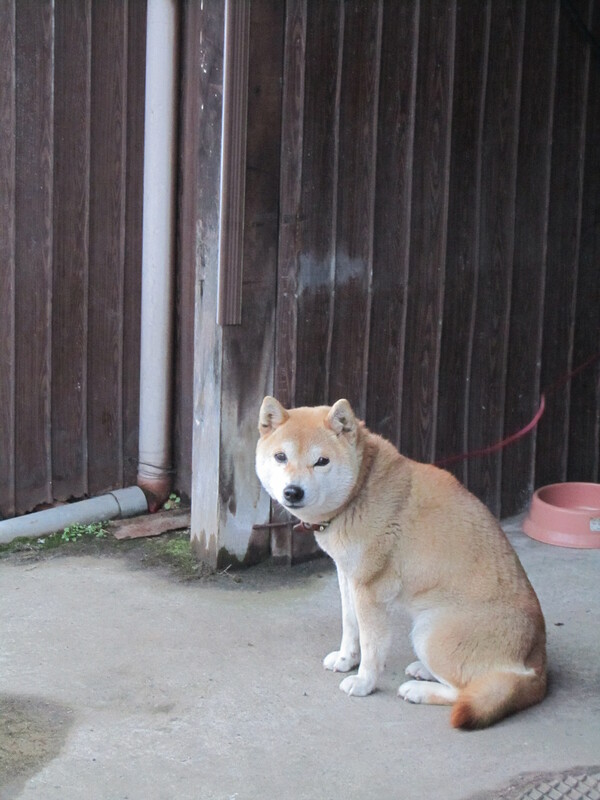 This dog lives near me and sits outside a lot, I think it`s a native Japanese breed, maybe a Shiba-inu. It`s very small, quiet and cute anyway, and I`m not even a dog person. 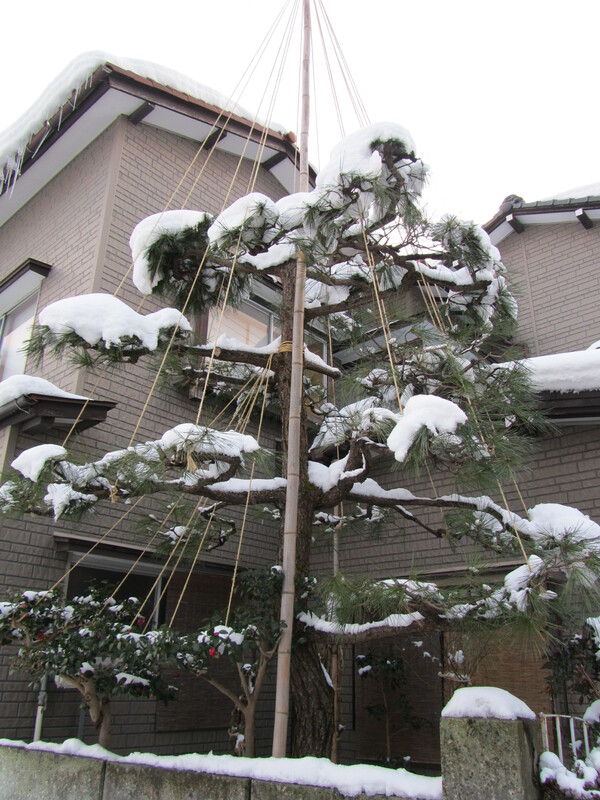 Above is a tree being supported by yukizuri to withstand the weight of the snow. 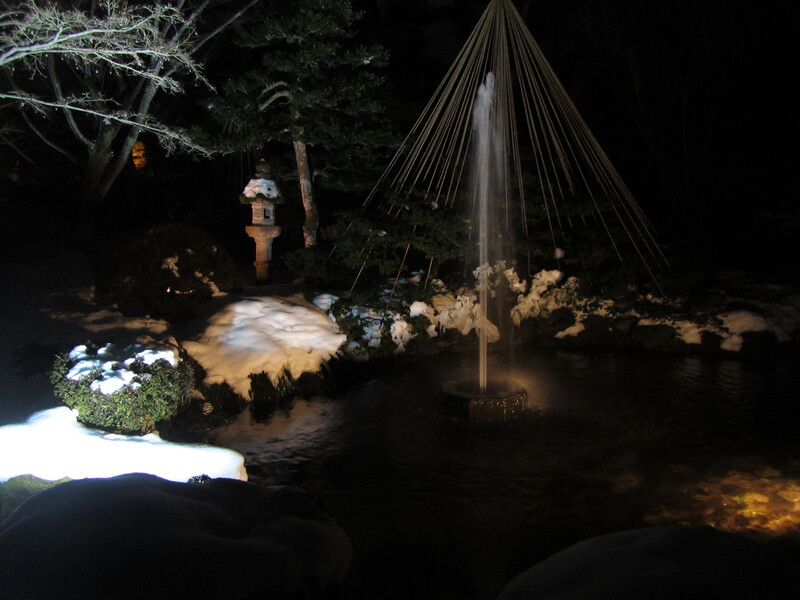 Around November every year, yukizuri are attached to the trees in Kenrokuen garden. 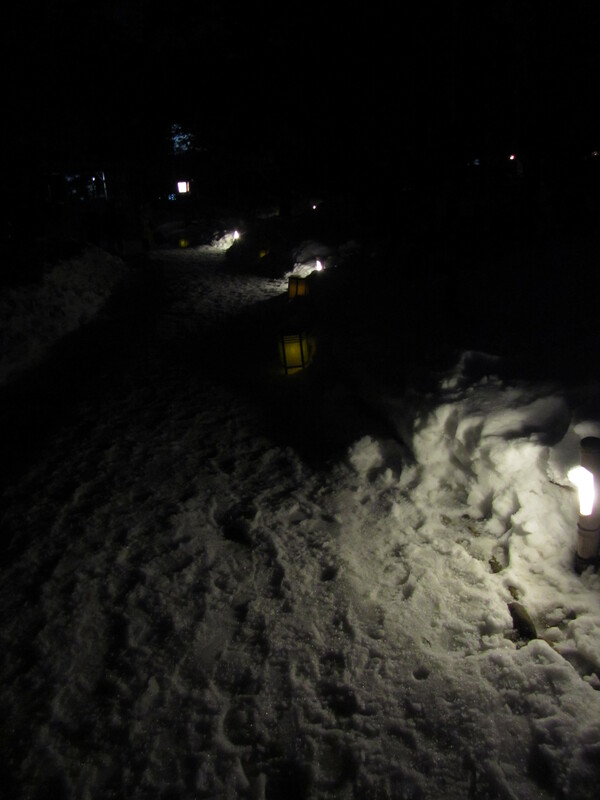 Below are some pictures from the light-up there last year, though it was late in February and the snow wasn`t as thick. I’m at the half-way point of my life in Japan because at the end of last month I signed my re-contracting papers to stay on for a third year and I don’t think I’ll stay on any longer than that. It’s strange to think that from now on, there will be less time remaining in Japan than I’ve already spent here. I know the next year will fly by as I try to fit in everything I haven’t managed to yet. I thought this would be a good time to review the year and a half I’ve been here. 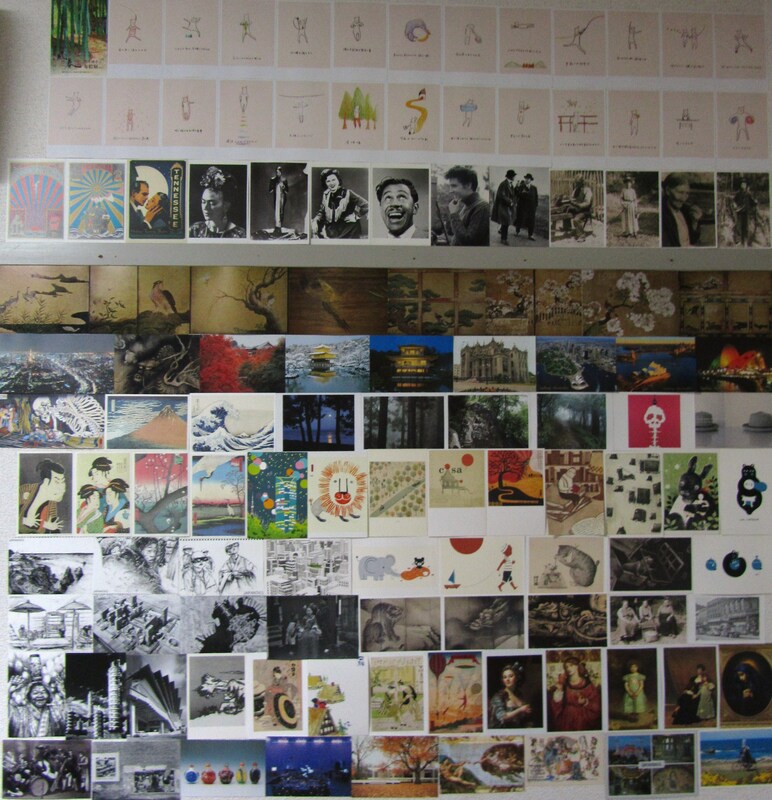 I’ve collected a lot of postcards from friends, places I’ve visited and exhibitions I’ve been to. 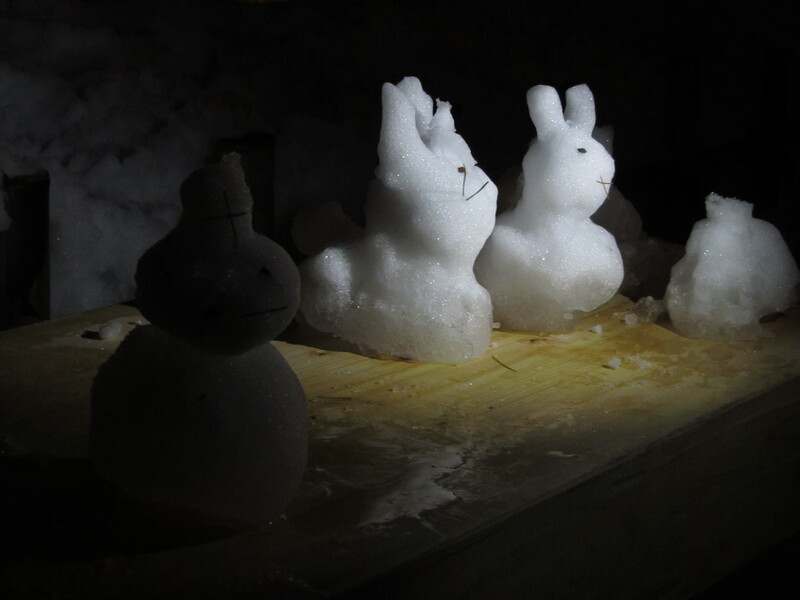 I stuck them up to brighten the place and also to give an extra thin layer of insulation to my thin walls. They’re not in chronological order as I waited until I had a lot to stick them up, and some of them I don’t remember what they are because the information on the back is written in Japanese. The images are a bit grainy because I couldn’t use the flash and my house is quite dark, but when I move out I’ll be glad to remember how I had them on my wall. 1-5: Japan 365 by J Muzacz. A friend of a friend living in rural Kyoto prefecture drew a picture of or inspired by Japan using a ballpoint pen every day for a year. At the end of the year he was able to publish a book of all his drawings, with ten percent of the profits donated to Japan for Sustainability and I went to the book launch in Kanazawa. 6-10: Metabolism: The City of the Future. This was probably the most interesting exhibition that I’ve been to in the past year and a half. Metabolism was the first modern architecture movement in Japan in the 1960s when Japan had the money to reinvent their post-war urban landscape for the future. The name comes from the biological concept with buildings and towns designed like organisms that could be expanded or contracted as needed. My favourite concepts were the Marine City across Tokyo Bay and the towers that were designed like the double helix of DNA. 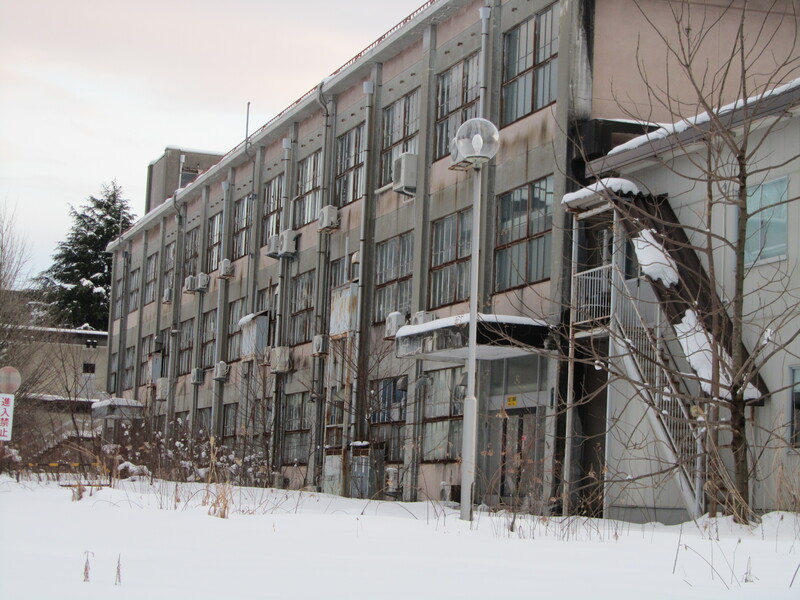 Not many buildings were built or remain from this era, but its most obvious legacy is the capsule hotel. 11: China: Through the lens of John Thomson 1868-1872. This exhibition was held in the Chester Beatty Library in Dublin and my friend Michael sent me this postcard of a Manchu lady having her hair dressed. 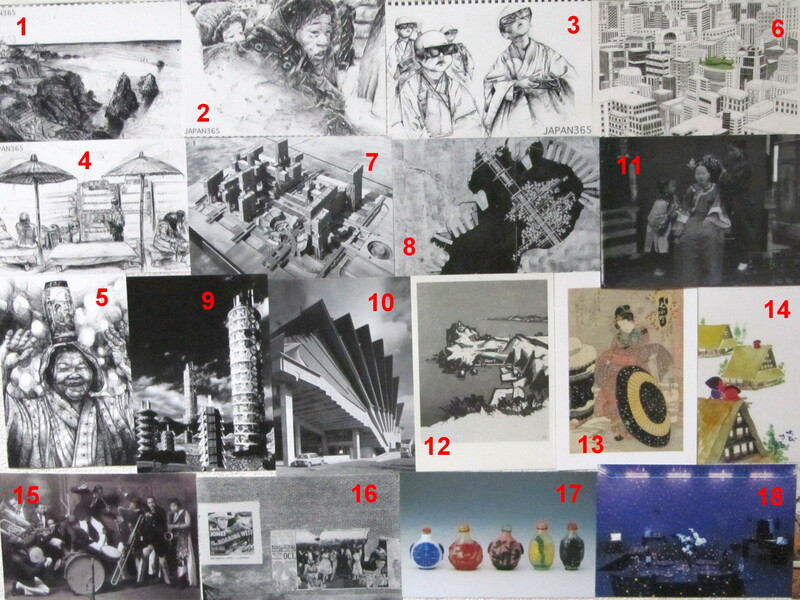 12-13: I bought these at the Hokkaido Museum of Modern Art despite not having seen them in real life because there were no postcards of the print exhibition I saw. 15-16: I bought these in the High Museum of Art, Atlanta. 17: Eighteenth-century Chinese snuff bottles from the Notojima Glass Art Museum. 18: Yayoi Kusuma. This was an installation at the Kanazawa 21st Century Art Museum. It’s a living room covered in coloured dots that become luminous under the black lighting. 1-5: Illustrations from the Bologna Children’s Book Fair 2011. This event is on every year in March in Bologna, where I lived in 2008/2009, and illustrators from around the world send in their work for children’s book publishers to look at and hopefully commission. Some works are then selected to be part of a touring exhibition which ends up in Nanao, Ishikawa in December. It’s a small world. 6-8: Japanese Masterpieces from the Museum of Fine Arts, Boston. Dragon and Tiger by Hasegawa Tohaku (1606) and Dragon and Clouds by Soga Shohaku (1763). 9: Photo of three Appalachian women in the late 19th C that I bought in a series at the Great Smoky Mountains National Park. 10: A. Schwab Store in Beale St, Memphis. 11-12: From the Edo-Tokyo Museum. The first I think is an Utamaro print that I didn’t see and the second is a Meiji era print of people ballooning that was part of the Tower exhibition that I went to. 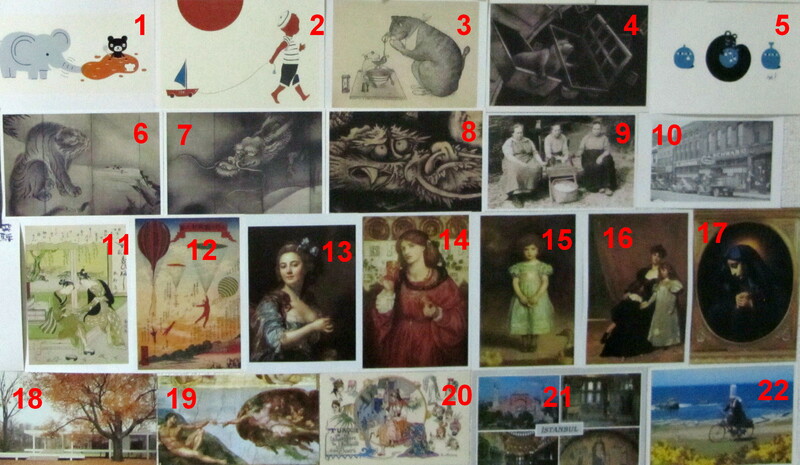 13-17: Paintings from the National Museum of Western Art, Tokyo. 18: The Farnsworth House, Plano, Illinois. 19: The Creation of Adam from the Sistine Chapel, Rome, sent to me by my friend Michael who holidayed there. 20-21: Postcards from Istanbul sent from my friends Christabel and Michael. 22: Postcard from Brittany sent from my sister who was living there with a host family for two weeks. 1-4: Screen paintings from Nijo Castle, Kyoto. 5: Tokyo nightscape from Mori Tower. 7: Tofukuji, Kyoto in the Autumn. 8: Kinkakuji, the Golden Pavilion, Kyoto. 9: Print from the Kuniyoshi: Spectacular Ukiyo-e Imagination exhibition at the Mori Art Museum. 10-11: Two of the thirty-six views of Mt Fuji by Hokusai. 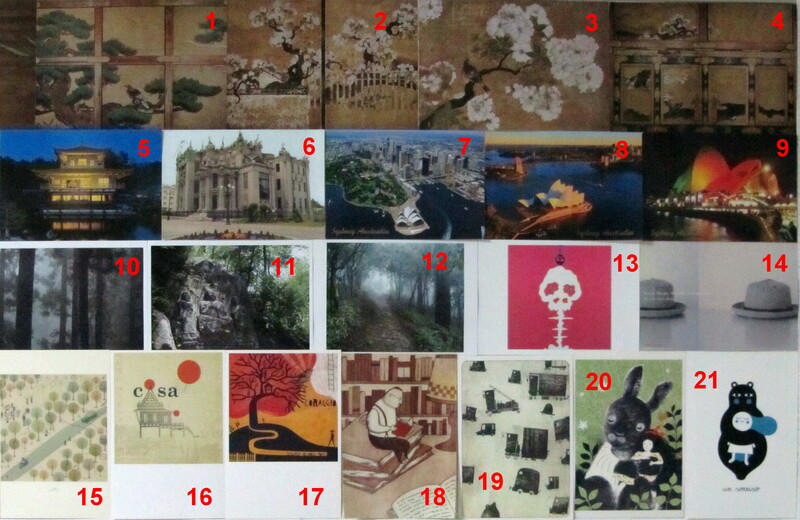 12: A postcard I bought at the Miho Museum outside Kyoto. 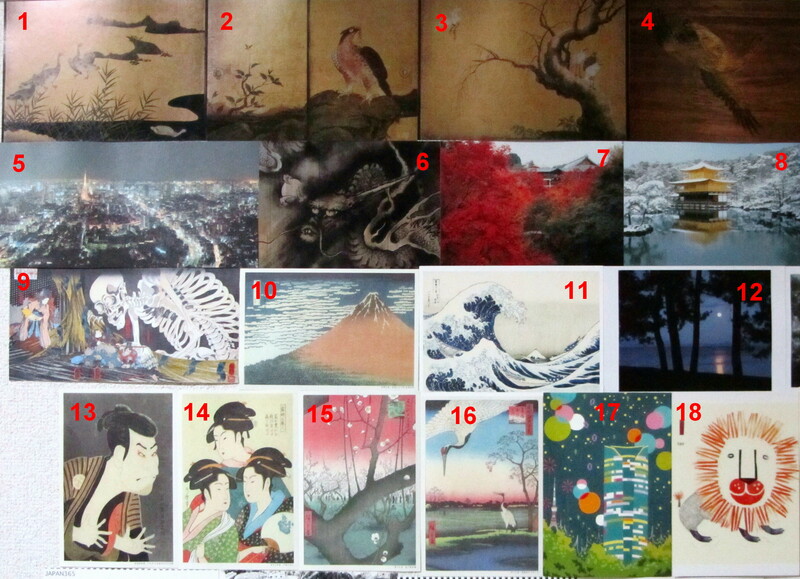 13-16: Prints by Sharaku, Eizan or Eisen I think, and Hiroshige that I bought at the hundred yen store. 17: Postcard of the Mori tower. 18: One of the 2011 Bologna Children’s Bookfair postcards. 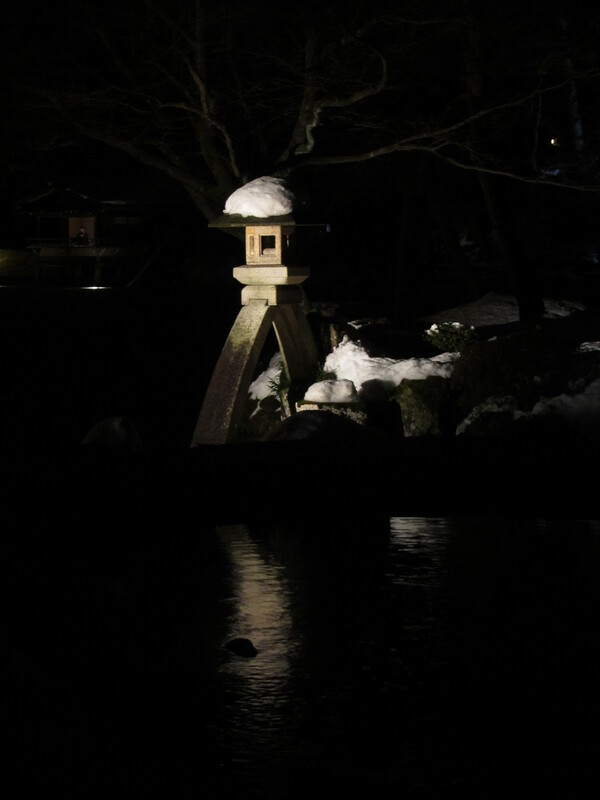 5: The Golden Pavilion, Kyoto. 6: A house in the Ukraine that seems to be a classical building that had gargoyles stuck onto it, sent to me from my friend Christabel. 7-9: Sydney Harbour and Opera House. 10-12: Postcards from the Miho Museum near Kyoto. 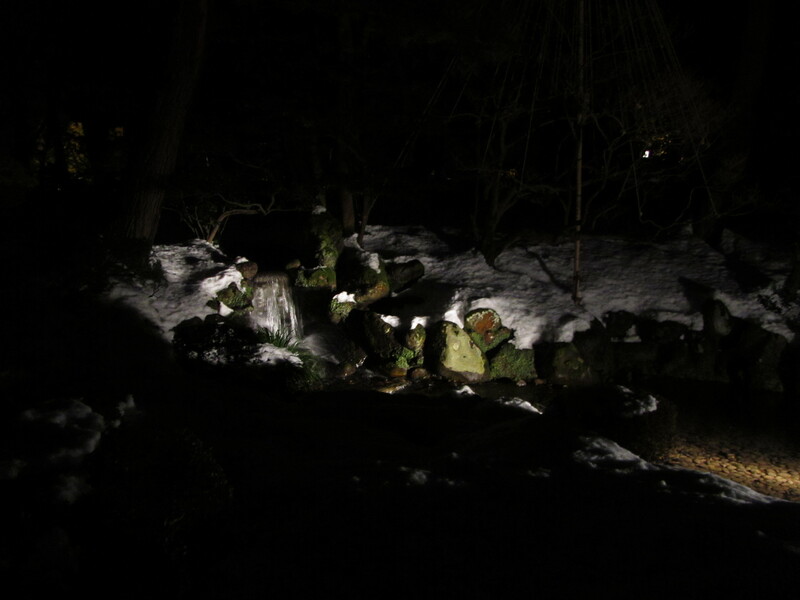 13: From the Mori Art Museum. 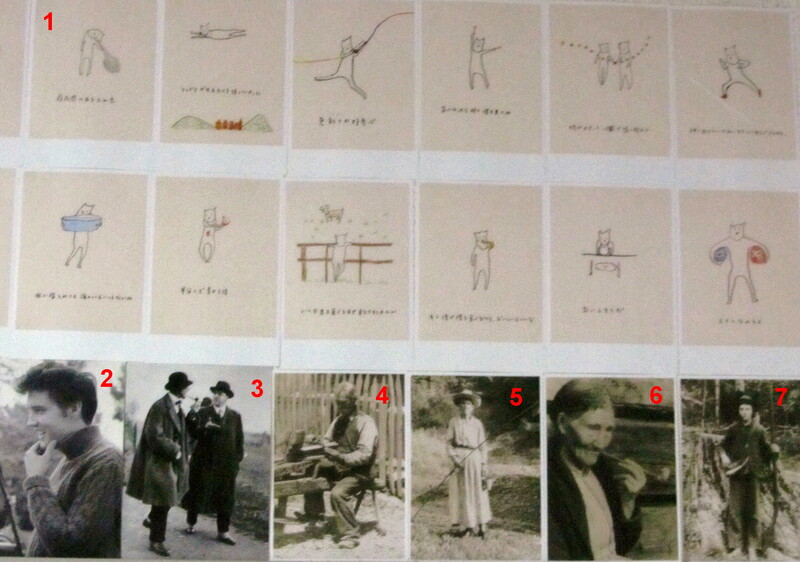 14: Postcard picked up at a café, not sure what it’s for. 15-21: Postcards from the Bologna Children’s Bookfair 2011. 1: Illustrations by Kudo Ayumi around the five senses from the 2012 Bologna Children’s Book Fair. 3: Le Corbsier and Mies van der Rohe. 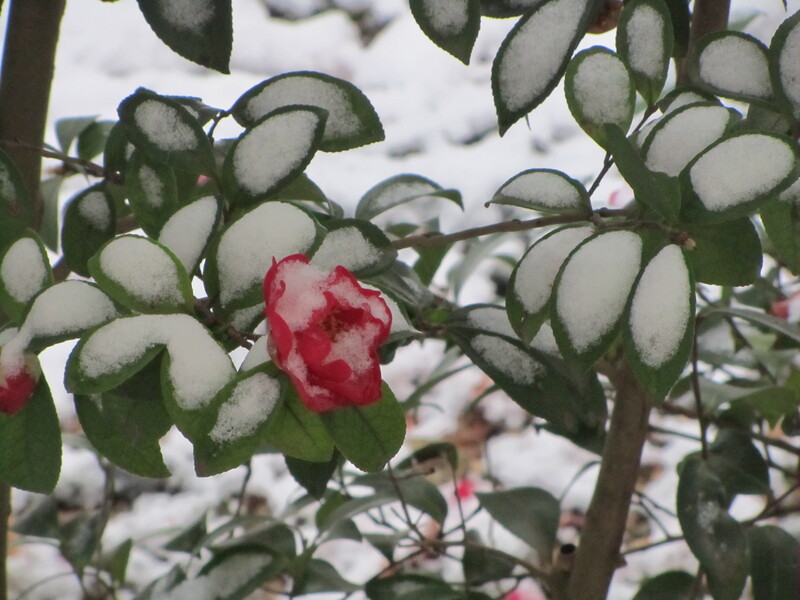 4-7: Scenes from the Appalachian mountains. 1: Postcard advertising a textile exhibition at the 21st Century Art Museum. 2: Postcards from the 2012 Bologna Children’s Book Fair. 3-4: 1960s posters by Tadanori Yukoo of himself and Yukio Mishima from the Museum of Contemporary Art Tokyo. 5: Postcard of the Tennessee Theatre, Knoxville. 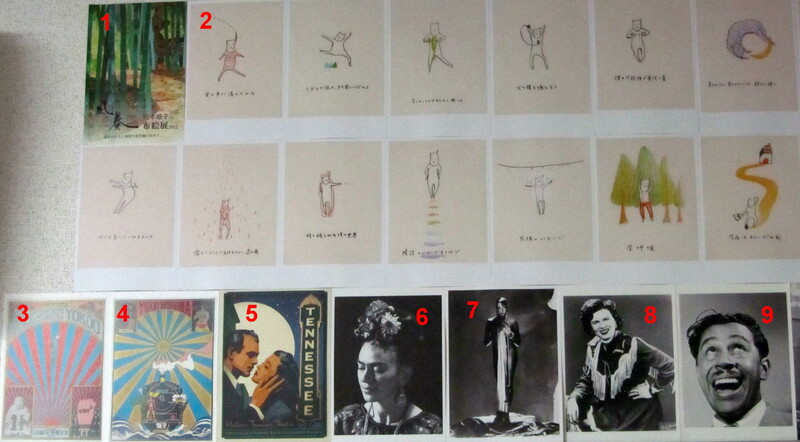 6-9: Frida Kahlo, Josephine Baker, Patsy Cline and Cab Calloway, bought at Beale St, Memphis. Though they don’t have anything to do with the place, I thought they were iconic images of iconic people.